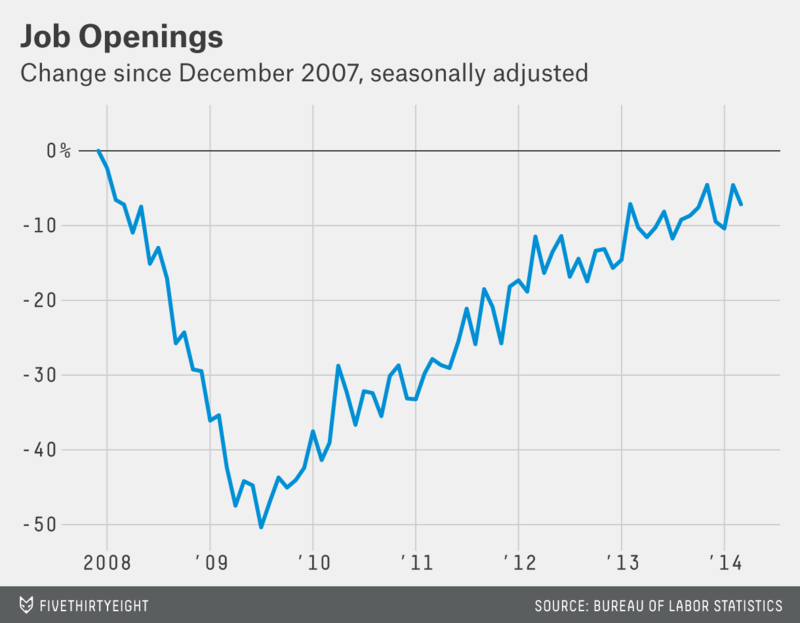 The latest Job Openings and Labor Turnover Survey typifies the job market’s mixed messages. Each of the monthly report’s main indicators tells a slightly different story. Job openings have more or less returned to normal. There were about 4 million jobs available at the end of March. That’s about 14 percent below the prerecession high-water mark, but it’s pretty much exactly even with the average from 2004 to 2006. The bad news is that after rising steadily early in the recovery, the number of job openings has been pretty much flat over the past several months. Hiring is still well below prerecession levels. As a share of employment, hiring is still lower than it ever was between 2001 and 2007. 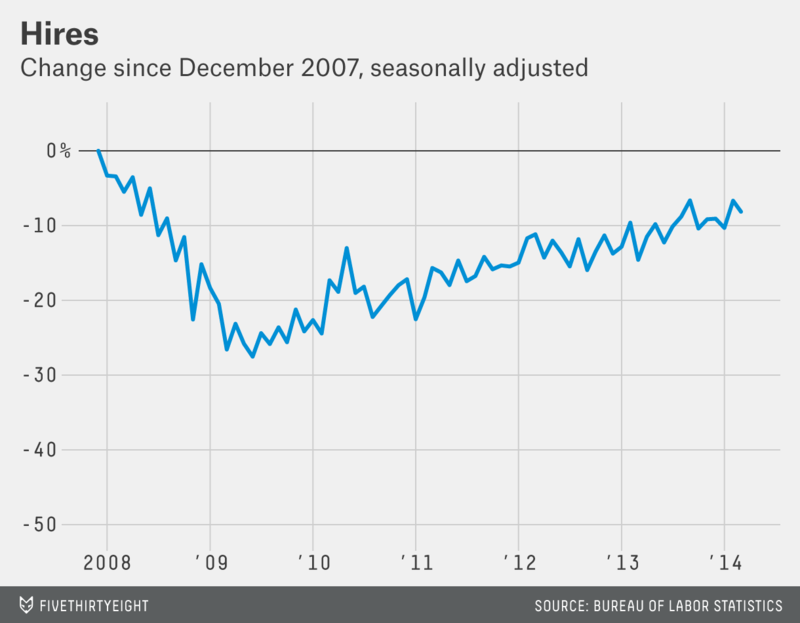 It’s getting better, but slowly; hiring is up just 8 percent in the past year. 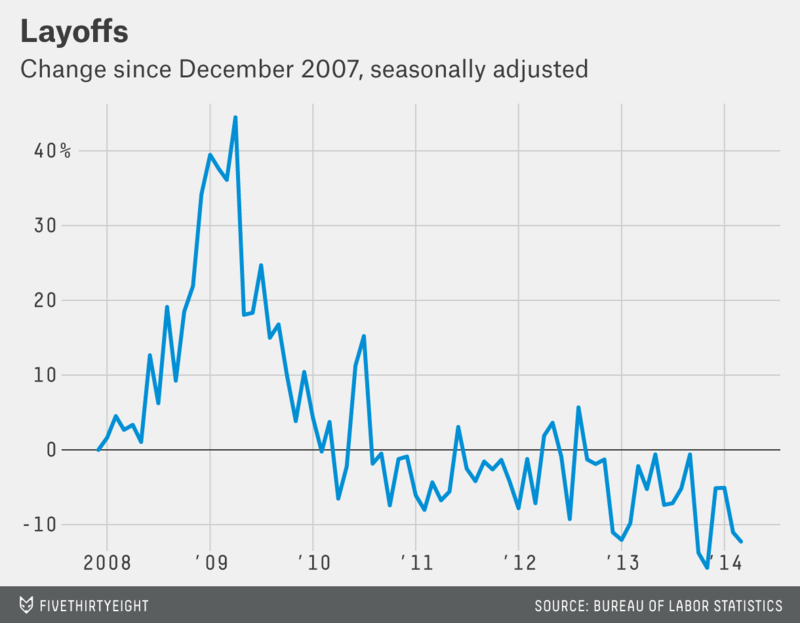 Layoffs have fully recovered. In fact, job losses were back at prerecession levels in late 2010 and are now well below those levels. 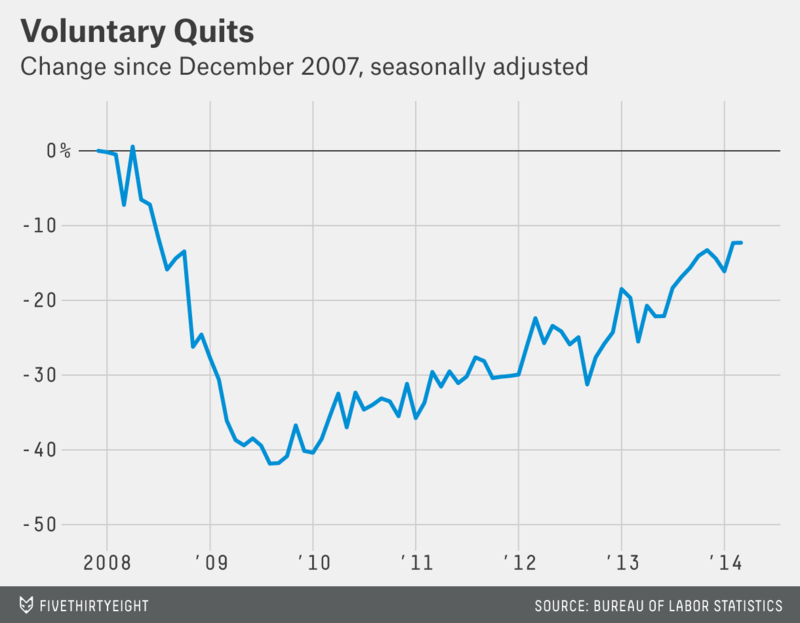 Voluntary quits are rising steadily but haven’t yet come all the way back. Quits are an important measure of workers’ confidence — people are more likely to leave their jobs if they think they can find a new one — and are an important source of earnings growth. Quits were slow to rebound early in the recovery, but they’ve shown stronger growth over the past year or so. In other words, people who are employed have the most job security they’ve had in years and are getting more confident as a result. But the unemployed, and especially the long-term unemployed, are making much less progress.